A suspension is not just part of a truck that gives you height or absorbs some bumps, it is the component that gives you control through the most enduring trails. Having a properly tuned suspension will get you to your destination fast where others cannot follow. 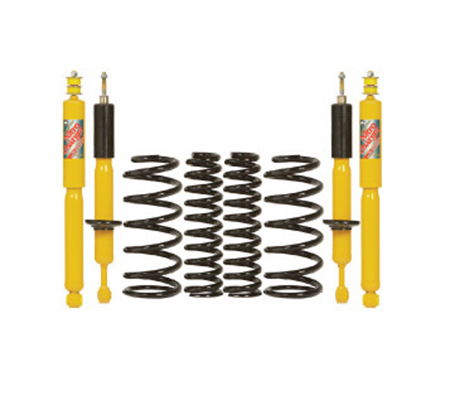 A well-tuned suspension is not only for the trail, but will benefit you in your everyday driving. Your suspension keeps you in control and keeps your breaking at peak performance whether you are on the highway or on the trail. Why not give your truck the upgrade it deserves? Stage one is a good introduction to modifying your truck. It will give you a more aggressive stance with some added ground clearance. The added ground clearance will allow you to run a larger diameter tire. Stage two will not only increase your ground clearance but how your truck will absorb the rough terrain increasing your trucks performs off-road. In this stage, we are lifting your truck by increasing your suspension travel. 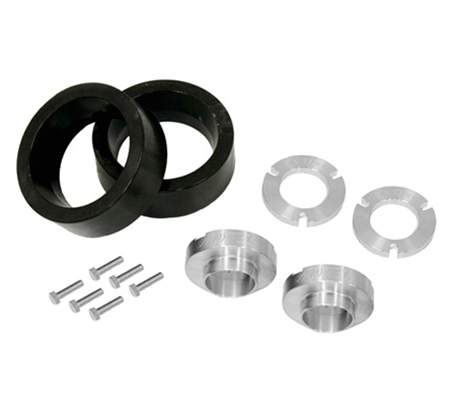 This will significantly increase your articulation and off-road performance. 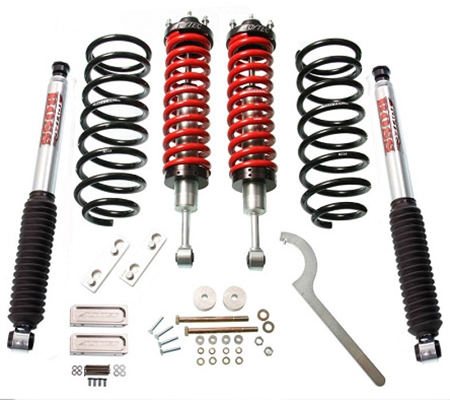 Stage three adds Coilover shocks and remote reservoir shocks that can be tuned for specific applications. Adding upper control arms allows for more travel and durability. Stage four is for the true enthusiast who wants to drive to places others cannot. 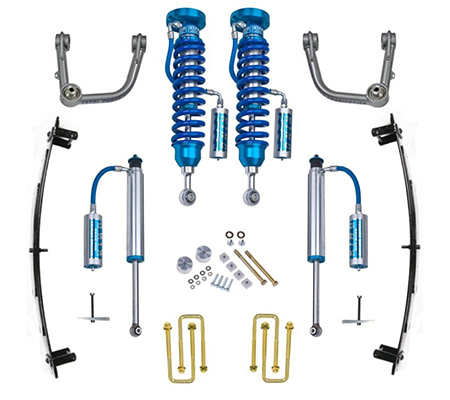 With long travel suspension kits, we are not only adding more height and travel but an unparalleled level control.